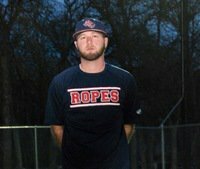 Danny (Flo) is the owner of Frozen Ropes McKinney. He has more than 20 years of experience in coaching baseball and helping players maximize their baseball skills and is very well known in the national coaching community for his passionate attention to detail in all aspects of the game. Danny has been a national speaker at conventions throughout the country and is a specialist in analyzing throwing motion and helping players gain arm speed while reducing the chances of injury. He holds a BS in Kinesiology from University of North Texas. Danny served as Assistant Coach at both Brookhaven CC and McKinney HS before taking over the reins at Sherman HS and building that program into an annual playoff contender. Danny has also spent the last 18 years coaching the highest level of select baseball in the DFW area and has been a scout for the Atlanta Braves and the Cincinnati Reds. 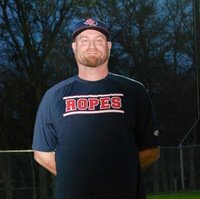 He is in charge of the development plan of the company as well as overseeing the instructional consistency of all baseball instruction at Frozen Ropes North Dallas. Danny and his wife Judy reside in McKinney, TX with their two children, AJ (22) and Bailey (18). 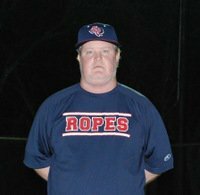 Coach T came to Ropes in 2008. His coaching career spans all levels. Coach Thornton has coached High School, College and various levels of select ball. Coach T has enjoyed a high level of success at every level he has coached at, having ejoyed many playoff runs and championships along the way. Coach T has had over 15 former players spend time in the Majors and another 30+ former players drafted. Coach Ladd has coached in the Frozen Ropes Organization for 9 years now. He generally coaches a 13u or 14u team during the Spring, and a high school level team in the Summer. 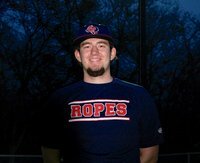 TJ is the IT Manager for both of the Frozen Ropes McKinney websites, is the youth camp coordinator and a full-time instructor. He played his high school baseball for McKinney North HS, where he was a stand-out shortstop and holds the school record for doubles in a season. He was named District 9-4A Offensive MVP his senior year, and went on to play collegiate ball at Southeastern Oklahoma State University. After his playing days, he returned to Frozen Ropes to extend his knowledge of the game to the youth players. He resides in McKinney, TX. Coach Wes played his High School ball for Coach Flo at Sherman HS. He went on to play 2 years at Grayson County College. In 2002 he signed to play at the University of Arkansas. Wes was drafted by the Seattle Mariners and opted to sign pro. He played for the Mariners organization from 2002-2004. In 2005 He played for the Shreveport Sports. In the fall of 2005 Coach Wes began his coaching career at Grayson County College. Coach Martin played his high school ball at Flower Mound Marcus. He played pitcher and 1B. Shem continued his play at Lubbock Christian where he pitched and played first. 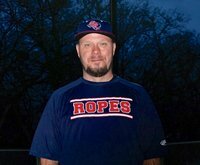 He has coached 6 years of select ball and is in his second year at Ropes. Shem umpires both high school and college ball in the Collin County area. He and his wife Jana live in Frisco and he has two kids, Jake and Milla. Coach Whitsell began his coaching carreer in 2000. Coach Whit is one of a very select few who can claim two Mickey Mantle National Championships (16U). Coach Whitsell played his high school ball for Coach Flo at McKinney HS and his College ball for Coach T at Brookhaven College. He played for both Flo and T in his High School summers. Coach Whitsell’s coaching history includes…. Justin grew up in the Frozen Ropes system playing for both Coach Thornton and Coach Florence. In High School, he was a star pitcher, setting many records. He went on to play at Texas Tech University for Big 12 coach of the year, Tim Tadlock, where they made their first ever College World Series appearance. After his college career ended, he began as an assistant for Coach Thornton in the summer. In 2015, he helped the 16u team win the Mickey Mantle World Series. Justin is now an instructor.